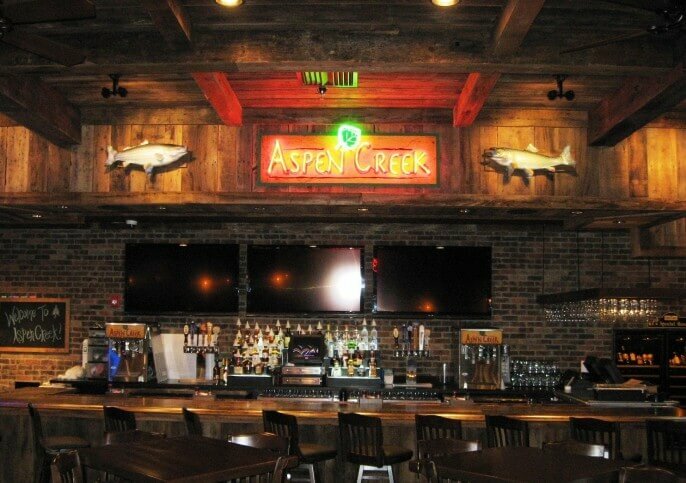 Aspen Creek is a full-service restaurant specializing in made-from-scratch appetizers and entrees. 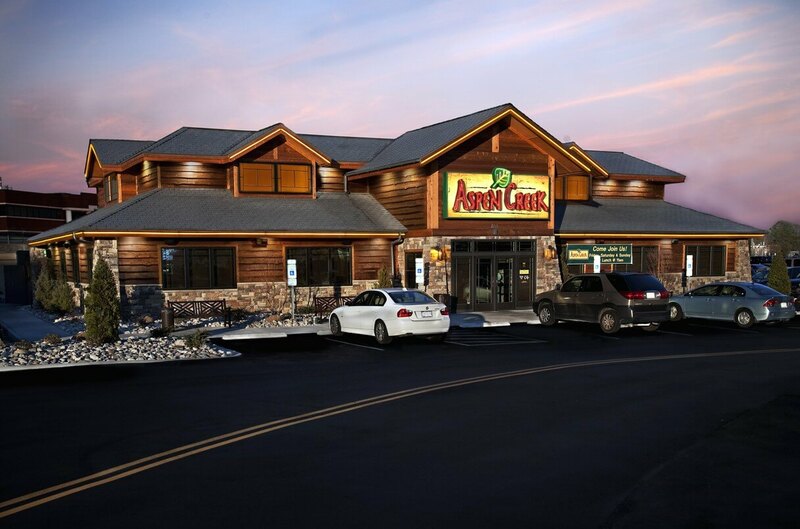 The restaurant offers a welcoming atmosphere, with mountain lodge decor, including exposed wooden beams and stone. This project features all the attributes of an up-scale restaurant while offering a comfortable dining environment and affordable prices. 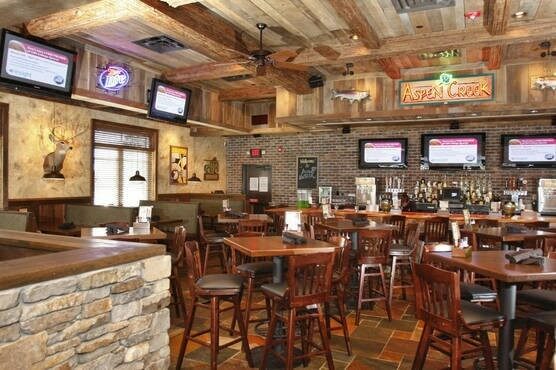 Aspen Creek currently has locations in Louisville, KY and Irving, TX. Aspen Creek offers a welcoming atmosphere, with mountain lodge decor, including exposed wooden beams and stone.